Father Robert Barron relates that everything in Christianity boils down to the fact that God raised Jesus from the dead – a very mystical act indeed for us to believe and trust. And going forward understand that we are a Easter people everyday and a mystical people that will not let doubt interfere with what we were born to do. Just as Jesus knew what he was born to do and accomplished it. He is our Guide, our hub to the wheel of life where we are the spokes, our Yogi who is alive and well today living and breathing through us. “Everything said by Augustine, Aquinas, Francis of Assisi, Dante, Teresa of Avila, Thérèse of Lisieux, Pascal, Newman, Chesterton, and John Paul II comes down to the declaration that Jesus Christ is risen from the dead. Every act of every saint is related to the fact of the Resurrection. Over the centuries, various thinkers and theologians have tried to maintain that Christianity is fundamentally a moral system at whose center stands the command to love God and neighbor. Some have wanted to strip Christianity of its mystical and supernatural elements, turning the Resurrection into a pleasant myth or an evocative symbol. When you know your mission, be astonished by what God has done, and never stop treasuring it. This week I was asked twice what Buco means in the dish, Osso Buco. Buco is the bone marrow that offers the flavor to the meal, the richness. On this feast of Mary the mother of God, I would like to emphasize specially the word today’s Gospel associates with her: treasured. “Mary treasured these things and reflected on them in her heart.” She pondered them, turned them over, sought out their causes, saw their implications, allowed them to work their way into the marrow of her bones. May the Mother Mary, God’s finest human creation, guard and keep this year, and bring the peace of her Son Jesus to our hearts and to our world. Pray for the Holy Innocents. More than ever, Souls are relinquished prematurely. A haunting carol, The Coventry Carol, from a play in the 16th century was imagined to be sung by the mothers whose children have been murdered by Herod at the time Of Christ’s birth as related in the Gospel of Matthew. The play and the song concern the massacre of the young children of Bethlehem at the command of King Herod. God chose us. The amazing grace of the Incarnation is that God pushed himself into the family of man even though we are broken, flawed and sinful. We are made for God, we are meant for Him, to respond to Him. 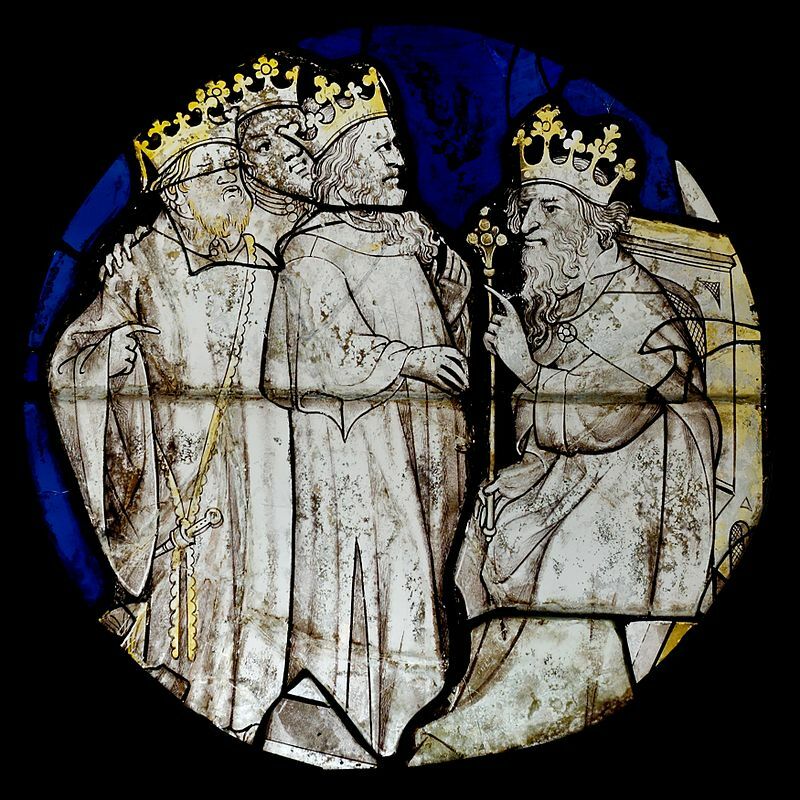 Epiphany means the manifestation of Christ to the Gentiles as represented by the Magi. Epiphany means reveal. The Feast celebrates the revelation of God revealing himself to mankind. As the real story goes, the King of the World is born and the three wise men go to see the baby Jesus. Following a star, the Magi find Jesus. I was asked at Mass today what the INRI stands for above the cross while we celebrated the Epiphany of God’s reveal. In the New Testament, Jesus is referred to as the King of the Jews, both at the beginning of his life and at the end. Some believe that the justification for his crucifixion was that he claimed an illegitimate title. However John 19:21-22 states that Pilate rejected the charge that Jesus was crucified because he falsely claimed to be king and instead stated that the reason Jesus was crucified was because he was the King of the Jews. Thus, Pilate personally was convinced that Jesus was the Jewish Messiah. This is further corroborated by the Eastern Orthodox Feast of Saint Pontius Pilate on June 25 since early church histories state that after converting to Christianity, Pilate himself was martyred by double crucifixion. In light of the Extraordinary Jubilee Year of Mercy, we are offered an opportunity to encounter the incredible mercy of God. Encountering mercy means encountering God. The Epiphany, encountering God, can transform your life in every aspect, every experience, every relationship. STTA (something to think about): Masonically INRI is read: “Igne Natura Renovatur Integra”. The regeneration of nature by the influence of the sun symbolizes the spiritual regeneration of mankind by the sacred fire (truth and love) of Masonry, a purely naturalistic institution. Today is the Feast Day of St. Agnes, a fourth-century martyr who is one of the most beloved of all female saints, because of her heroic commitment to purity. It is within the Church on January 21st, the day of Agnes’ execution, that two lambs are presented to the Pope, who blesses the lambs. 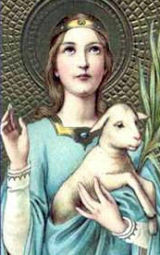 The lambs suggest the name of Saint Agnes, a play on the word “agnus”, which in Latin means lamb-life. But more than this, the lambs represent the sacrifice of Saint Agnes, who offered her life as a sacrifice to Christ the Lord. The wool from these lambs prepared on Holy Thursday and used to weave the palliums that the Pope bestows on archbishops. The pallium is a circlet of woolen cloth decorated with crosses that is worn by an archbishop as a sign of the dignity of his office, an office he exercises in communion with the Pope. We must all be willing to give up our lives in service to Christ the Lord. We may not be asked to accept as our mission torture and death like Saint Agnes but we will be asked to make a sacrifice. 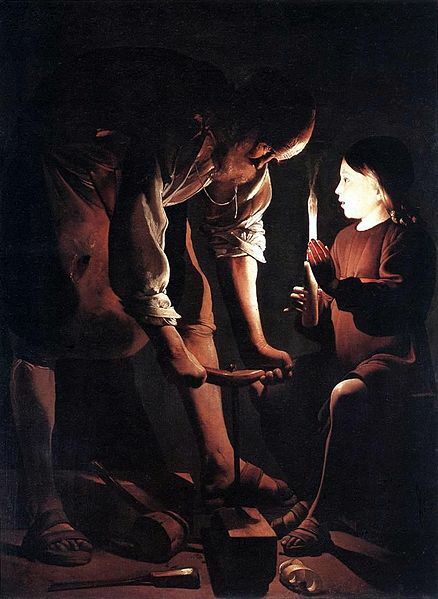 What that specific sacrifice will be will be specific to our vocation and differs from person to person, but whatever our sacrifice will be it will be an act of love, a manifestation of fidelity to Christ, and a witness of our hope that Christ the Lord offers us more than anything than the world can give. I believe Thou art present in the Blessed Sacrament, O Jesus. I love Thee and desire Thee. Come into my heart. I embrace Thee, O never leave me. I beseech Thee, O Lord Jesus, may the burning and most sweet power of Thy love absorb my mind, that I may die through love of Thy love, Who wast graciously pleased to die through love of my love. An act of spiritual communion expresses our belief in Christ’s Real Presence in the Eucharist and asks Him to come into our heart even when we cannot receive Him physically. Humanity is like God not only in thinking and loving, but also in creating. Whether we make a table or a cathedral, we are called to bear fruit with our hands and mind, ultimately for the building up of the Body of Christ. “The Lord God then took the man and settled him in the garden of Eden, to cultivate and care for it” (Genesis 2:15). The Father created all and asked humanity to continue the work of creation. We find our dignity in our work, in raising a family, in participating in the life of the Father’s creation. Joseph the Worker was able to help participate in the deepest mystery of creation. Pius XII emphasized this when he said, “The spirit flows to you and to all men from the heart of the God-man, Savior of the world, but certainly, no worker was ever more completely and profoundly penetrated by it than the foster father of Jesus, who lived with Him in closest intimacy and community of family life and work. Thus, if you wish to be close to Christ, we again today repeat, ‘Go to Joseph’” (see Genesis 41:44).